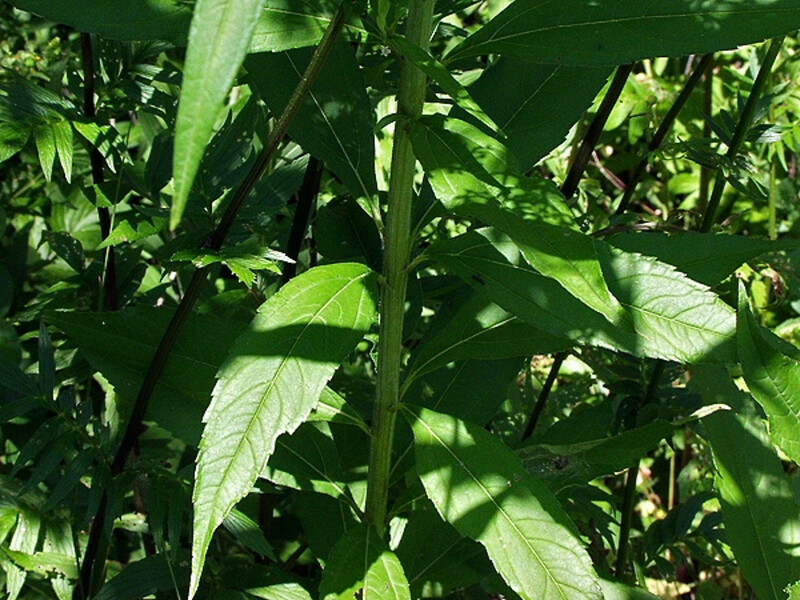 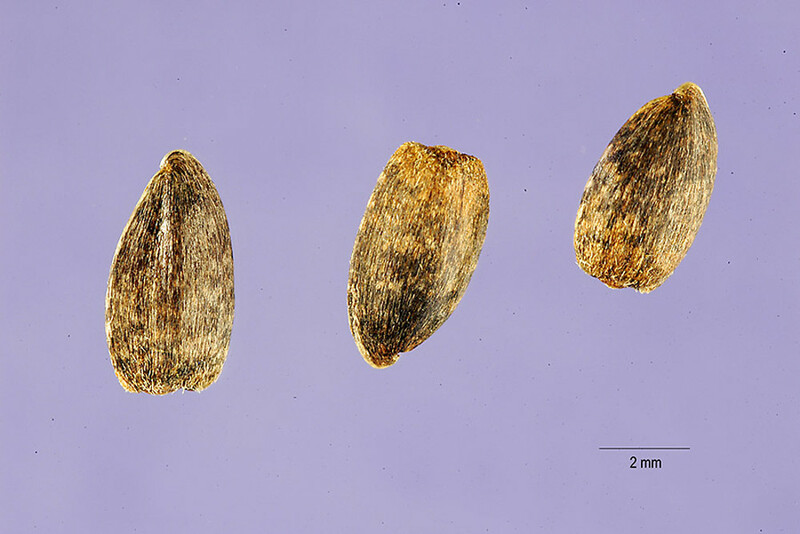 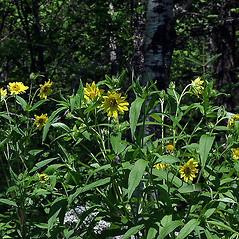 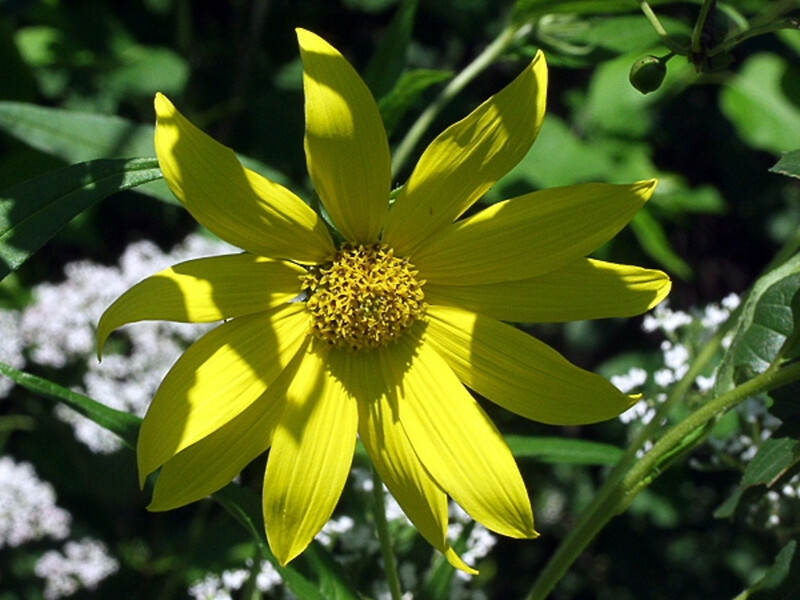 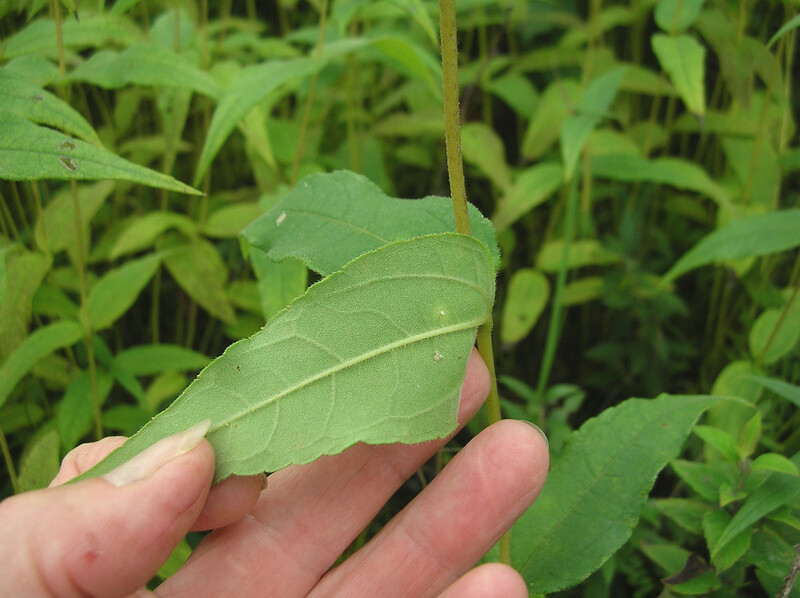 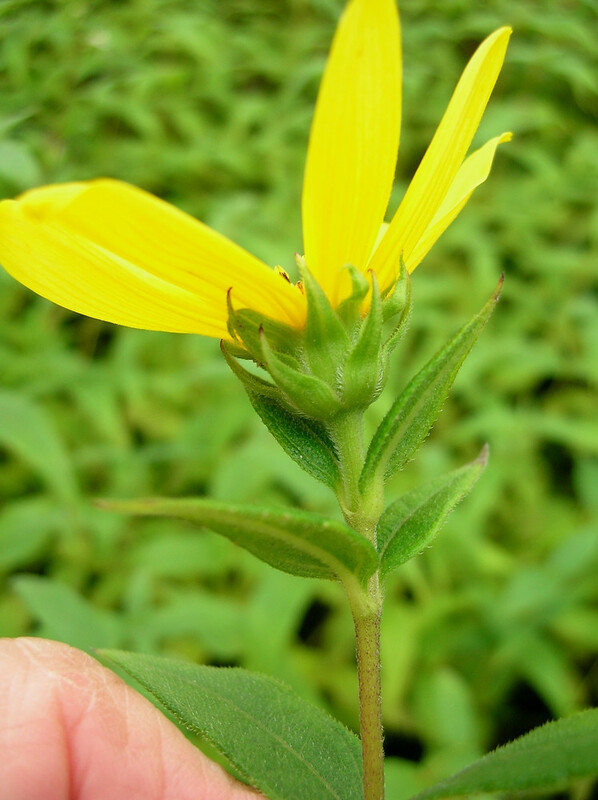 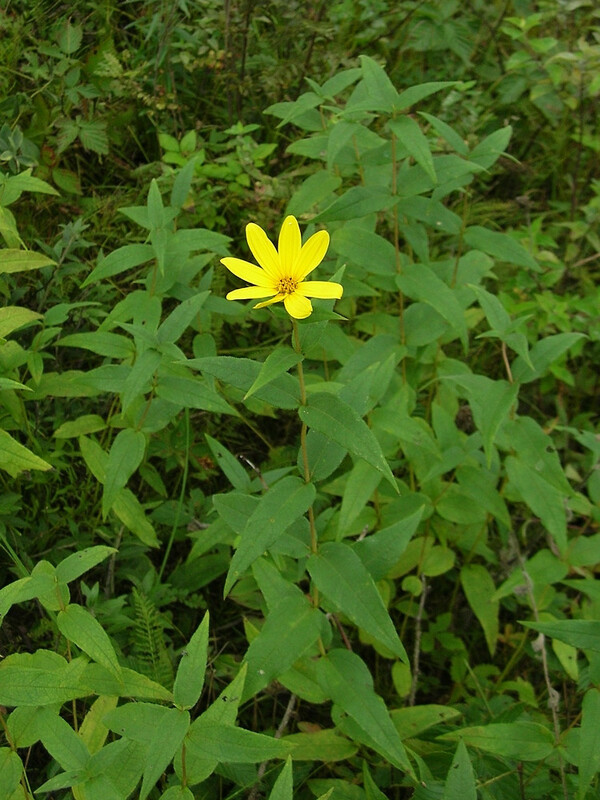 The Iroquois used a decoction of the roots of pale-leaved sunflower to treat intestinal worms. 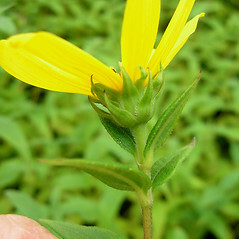 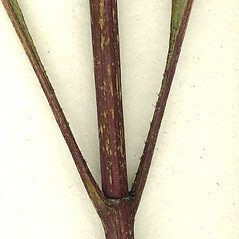 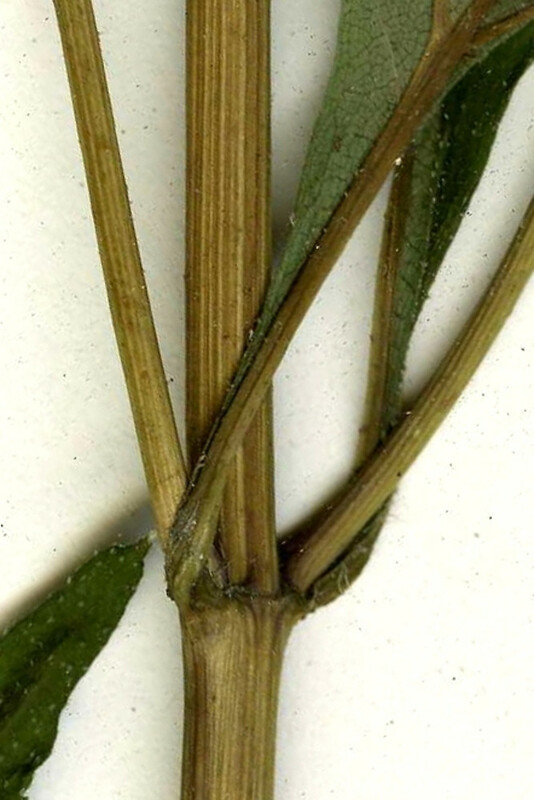 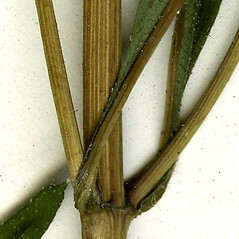 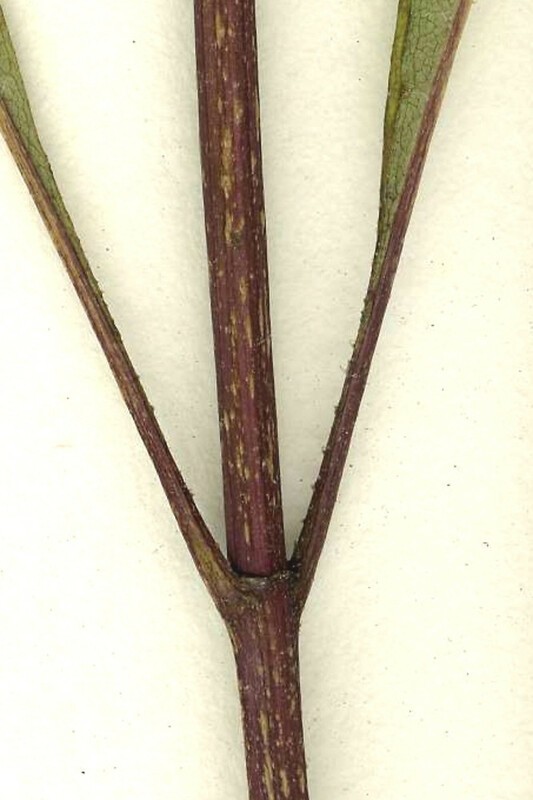 involucral bracts at base of flower head spreading, much longer than the disk of the flower head and leaf stalks 15-60 mm long (vs. H. strumosus, with the involucral bracts at base of flower head ascending, not exceeding the disk of the flower head and leaf stalks 5-30 mm long). 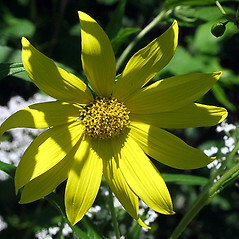 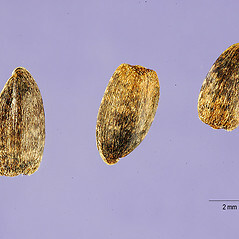 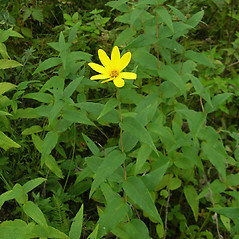 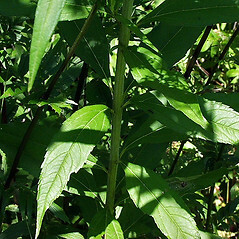 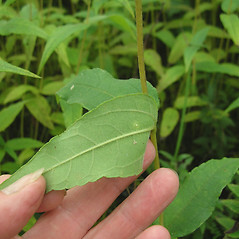 pale-leaved sunflower. 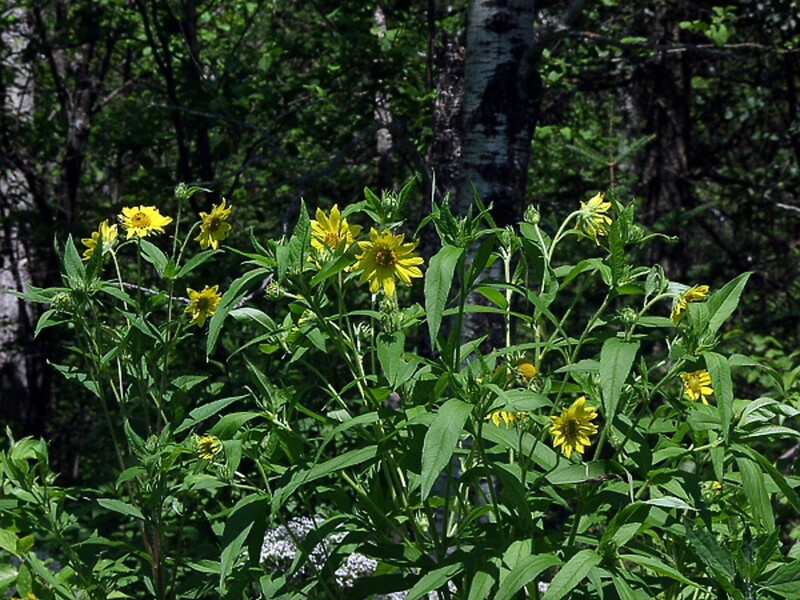 CT, MA, ME, NH, RI, VT. Deciduous forests, riverbanks, fields, roadsides, open rights-of-way.